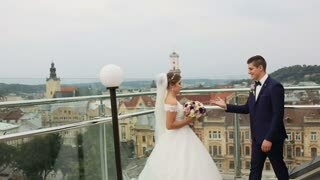 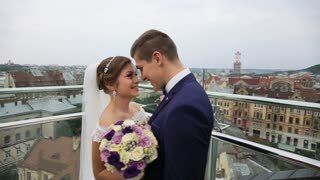 Groom kissing bride in beautiful wedding dress in front of old city landscape on the rooftop. 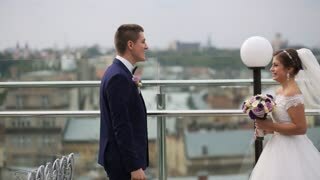 Lviv, Ukraine. 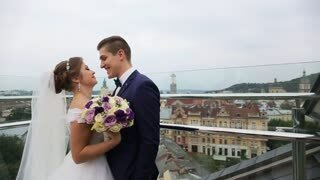 Groom and bride kissing in front of the old city landscape on the rooftop. 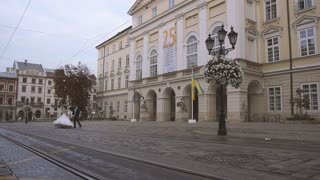 Lviv, Ukraine.